Sri City, March 15, 2016:- Nittsu Logistics（India）Pvt., Ltd., a wholly-owned subsidiary of Nippon Express Co., Ltd., inaugurated its warehouse unit in Sri City on Wednesday. 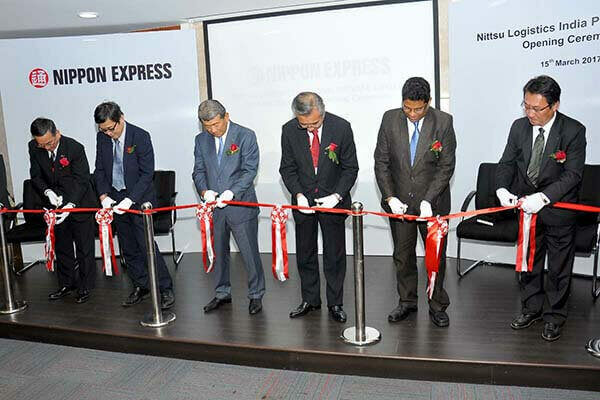 Mr. Yasunori Takahashi, Managing Executive Officer, Regional General Manager of Nippon Express South Asia & Oceania, along with Mr. Seiji Baba, Consul General of Japan in Chennai, Mr. Ravindra Sannareddy, Founder Managing Director, Sri City and Mr. Masato Asahi, President of Nittsu Logistics India, declared the warehouse inaugurated. 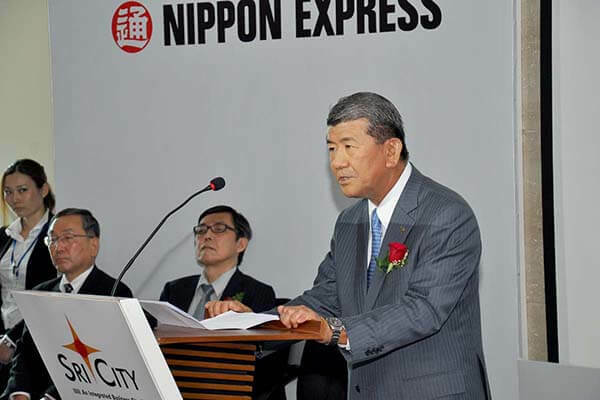 A host of senior global executives of Nippon Express Co., were also present on the occasion. Tracing the origin and growth of their business activities in India, Mr.Yasunori Takahashi said that while increasing their presence in India, they are aggressively developing business in South India. Thanking Sri City for the support being rendered, he added that their unit in Sri City serves as a all-weather cross dock centre for various local manufacturing and engineering industries and those located around Chennai. The warehouse, which was built on a plot of about 26 acres in less than 9 months time, is equipped with all the state of the art amenities. With a built up area of about 20094 sq. m, and with a 100% safe & secure operations, the warehouse offers specialised logistics and other value added services. The company has plans to expand it subsequently at an investment of Rs. 50 crores. About 100 persons will get employment. This unit is 6th business location of Nittsu Logistics in India. Nippon Express（India), a subsidiary of the Tokyo based Nippon Express Co., Ltd., established Nittsu Logistics (India) specialised in high-quality competitive ‘just-intime’ logistics within the country in 2011. While Nippon Express (India) provides total logistics services, including air/ocean forwarding, domestic transportation, warehousing and distribution, as a primary contact point for customers, it outsources domestic ‘milk-run’ transportation service to Nittsu Logistics. With a view to further strengthening domestic logistics business functions to deal with growing demand for domestic logistics in line with economic growth and the increasing sophistication/diversification of customers’ needs, Nittsu Logistics India is being positioned as a company specialising in domestic logistics.